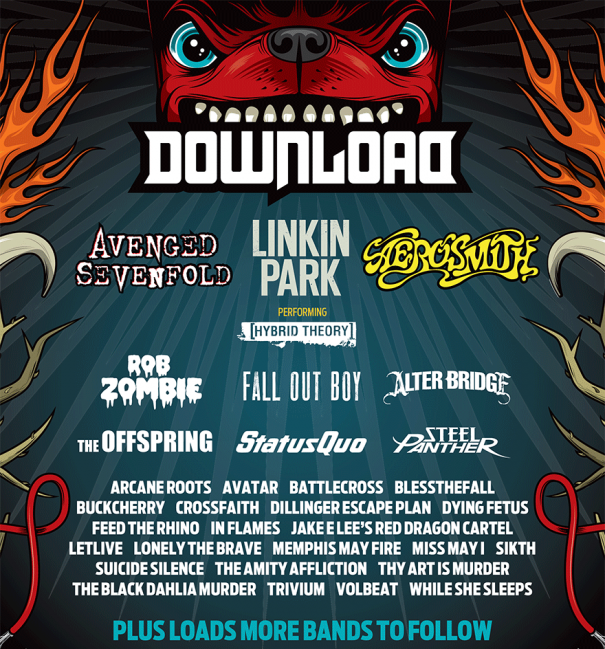 Download Festival will take place in Donington Park, UK on June 13-15, 2014. Aerosmith, Dying Fetus and In Flames are among the bands that will perform at the Download Festival 2014 festival. Download Festival happens and the sacred site that is Donington Park, right next to East Midlands Airport Donington Park lies where the three counties of Nottinghamshire, Leicestershire and Derbyshire meet.